As Project Managers, we have to remember that our number one priority is to create an environment where our team members can do their great work and feel safe to speak up and express their ideas, no matter how silly or contrarian others might find them. We all know that bullying and intimidation take place every day in the context of our projects, especially in environments with high degree of conflict. The most obvious place we see this is in meetings. It is not limited to meetings among the core team members but also those with other stakeholders like customers and vendors. The physical, psychological, and behavioral impact of bullying and intimidation are well documented by researchers. 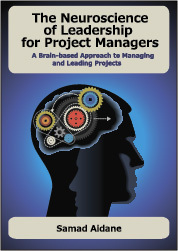 However, while there is plenty of guidance on this topic for functional and line managers, there isn’t much out there for project managers to help their team members when faced with this issue. We should not be surprised by how ill-equipped our team members are in defending themselves, when they become victims. Most of them never had any training or coaching on how to deal effectively with bullying. Even when they know how to deal with it, they often find it difficult to summon the courage to confront it. Your actions as a project manager play an important role when it comes to how your team members respond to bullying. Unfortunately, too many of us project managers fail to exercise leadership and do the right thing to protect the victims. We see one of our team members being bullied in a meeting and we do nothing to stand up for them or to the bullies. We hope that the bullying will eventually stop. But most often it does not and leaves scars that are hard to erase. Failing to confront this bullying and intimidation can be one of the biggest risks to your project. The “human costs” of bullying and intimidation are real and can create an environment where team members feel afraid to speak up. When team members shut down and disengage, it not only decreases their morale and overall productivity, but it also negatively impacts the entire project team’s effectiveness and can lead to potentially devastating consequences on your project. An attack on one of your team members is an attack on your entire project. If you turn the blind eye, you will be allowing abuse to become a norm. As project managers, we have an obligation to confront bullying and intimidation head-on on behalf of our team and in protection of our project. While it may not have a place in your project plan, making your project a bully-free zone should be highest on your priority list. Hi, Samad … this is so very true! You’ve captured the problem concisely but have also brought forward the “high ground” needed in any company or work environment today!